Company Registration in Pakistan in just 10 to 12 working days. Blue Chip International Offers Company Registration in Pakistan in all cities including Karachi, Lahore, and Islamabad Private Limited Company Registration is one of the most preferred form of business by most of the business people. Getting the company registered makes a big difference to the business in the form of trust and interest from other people to work with you. Private Limited Company or any form of company in Pakistan is registered as per the requirements stated in the Companies Ordinance, 1984. 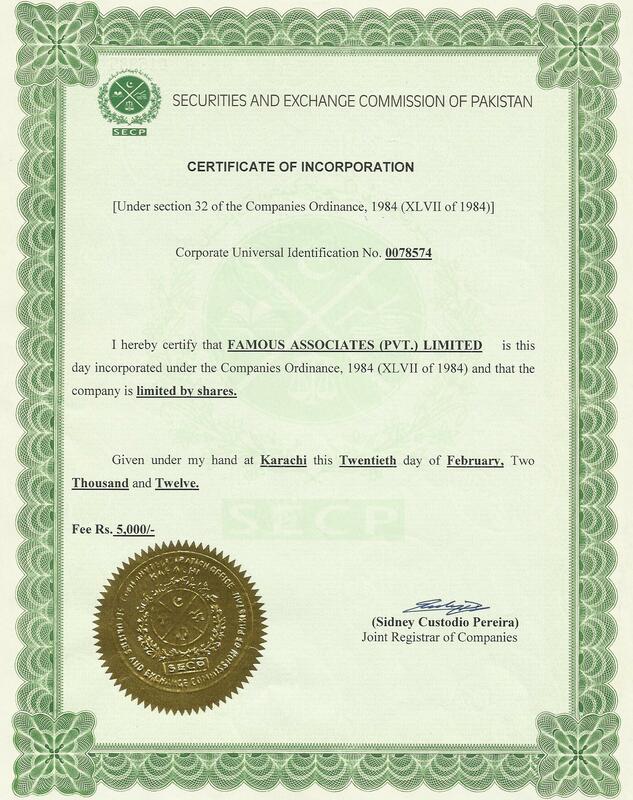 Securities and Exchange Commission of Pakistan is the Government body responsible for registration of all types of companies in Pakistan. The officer responsible for handling of registration of companies matters in Securities and Exchange Commission of Pakistan is called registrar of companies. As per the requirements of Companies Ordinance, 1984 minimum two directors are required to form a Private Limited Company. However Single Member Company can have a single director. As per the Companies Ordinance, 1984 there are three different forms of companies. Blue Chip International a reputable name in corporate consultancy offers company registration services in Karachi Pakistan. If you are in exploring more about the company registration process in Pakistan detailed information about company registration is mentioned below. The process of Company registration in Pakistan is not much complicated compared to company registration in some of the other parts of the world however in order to successfully go through the process of company registration in Pakistan you have to go through some basic steps that are mentioned below. 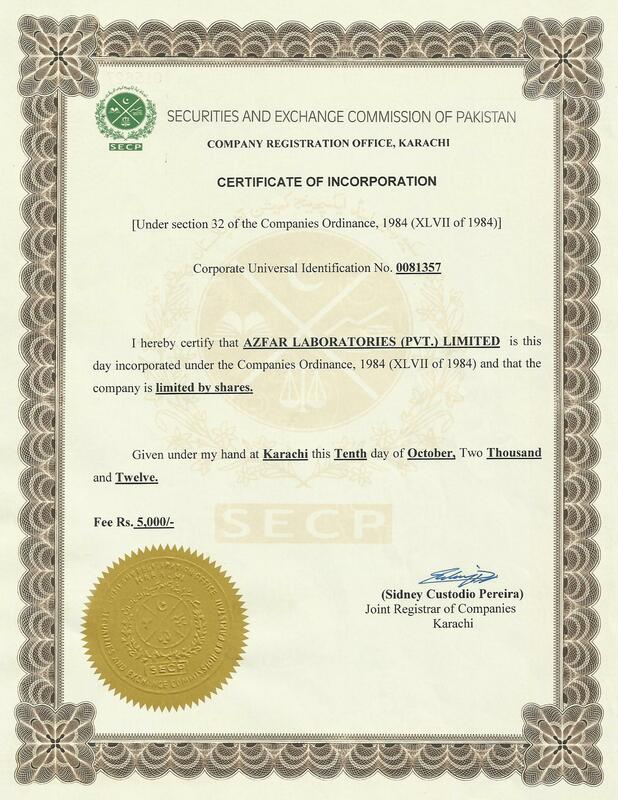 Before jumping to the steps of company registration in Pakistan it is quite important for you to understand that in Pakistan companies are registered with Securities and Exchange Commission of Pakistan (SECP) which is the only body granted the powers of company registration in Pakistan by the Government of Pakistan. The first step in company Registration in Pakistan is to make an application to the registrar of companies for the availability of name. The application can be made both online and in offline mode and normally takes a period of 3 to 4 days before confirmation of the name applied for new company registration in Pakistan. Before making an application to the Securities and Exchange Commission of Pakistan for company registration please do not forget to do Company Name Search with the Securities and Exchange Commission of Pakistan website. Once the name is confirmed you can proceed with the process of company registration in Pakistan. Memorandum of Association is the basic document where all the objectives of the company registration are stated e.g. the basic objective of company registration is to engage in the business of general order supplier or trading company or any other business. All the business the company is planning to undertake must be stated in the memorandum in order to get the process of company registration in Pakistan to complete. Four copies of Memorandum of Association must be prepared for company registration in Pakistan. Four copies of Articles of Association must be prepared also. Form I for company registration is the basically a declaration of one of the directors of the company about to be registered. Form 1 can be downloaded from Securities and Exchange Commission of Pakistan website. This is another compulsory component of company registration process in Pakistan. Form 29 contains information about the particulars of the directors of the company that is undergoing the process of company registration in Pakistan. Form 29 is submitted in duplicate. Power of Attorney in favor of any person authorized to submit documents and liaison with the company registration office about different issues during company registration in Pakistan. Copies of CNIC are of Directors and witness who signed the memorandum and articles of Association of the company that is undergoing the process of company registration in Pakistan. Letter receives from the Securities and Exchange Commission of Pakistan confirming the name applied for the company that is undergoing the process of company registration in Pakistan. The last step in the process of company registration in Pakistan is to submit all the above mentioned certificates to the registrar of the companies. Once satisfied with the documents incorporation certificate of the new company registered is issued by Securities and Exchange Commission of Pakistan within 3 to 5 working days and the process of company registration in Pakistan completes with the issue of this certificate.